In this phase, the relational integrative therapist seeks to build on the relationship established in the first meeting. The primary goal is to nurture the therapeutic alliance and engage the client in therapy. Like the foundation of a building, the alliance is invisible but underpins and supports all that grows above. It must provide sufficient safety to allow clients to drop defences and ‘let go’, so to begin feeling and exploring unknown internal worlds. Four further interlinked processes converge in the early stages of therapy: ensuring safety; listening, sensing and making sense; enabling change; and being present to relational processes. All effective helping is underpinned by a cooperative therapeutic alliance (Clarkson, 2003). An impressive amount of research evidence and studies evidence supports the claim that relational dimensions are central to the effectiveness of therapy, regardless of modality/theoretical orientation, (Cooper, 2008; Gelso, 2011; Markin, 2014). The therapeutic alliance involves three main components: agreement about goals; consensus on tasks and processes of therapy; and a positive, affective bond or attachment (Bordin, 1979). In other words, it is necessary to have some mutual understanding about the nature of therapy, as well as a shared desire to nurture a relationship that is built on trust, communication and acceptance. Research findings stress the value of clear contracting, agreed goals/processes, and key information-giving to ensure mutual responsibility for the therapy. Person-centred therapists following Rogers (1951) create safety through being non-judgmental, empathic, authentic and congruent. Working relationally, these therapists draw on their own intuition of how to be-in-relation with the client while remaining reflexive (i.e. critically self-aware) about what may be happening in the relationship. Psychodynamic therapists are concerned to provide a safe space to enable the expression and interpretation of significant unconscious, relational themes from the past and in the present. 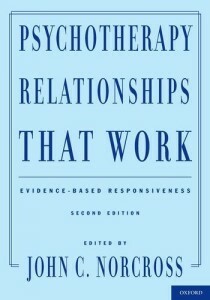 New ways can then be found as the therapist represents aspects of the client’s internal relational world (Greenberg & Mitchell, 1983). 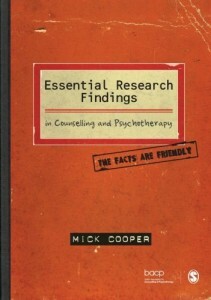 Specifically, therapists practising from the tradition of self-psychology (Kohut, 1984), underline how essential it is for the therapist to be able to enter into the subjective world of the Other in a concerned and empathic manner. Here the client is invited to use the therapist as a ‘self-object’ (e.g. offering affirming mirroring) to heal past deficits. The challenge for integrative therapists is to find a way of responding to clients’ needs in attuned flexible ways, rather than simply sticking to some theoretical formulae. Contracts of confidentiality and other general practices can help us create a safe therapeutic space but safety cannot be simply produced at will. It involves empathising in a responsive way to the client, showing over a period of time that the therapy space is safe. (For some, safety might be established in the first couple of sessions; for others, it can take months). Of course we need to recognise that what is safe for one person, may not be for another. For instance, some people will perceive a reassuring touching gesture as kind and compassionate, while others may find it invasive or disturbing. The art of the therapist lies in attuning to the specific needs of the specific individual at any one time. To help make the space safe, I find it helpful to draw on the 3 P’s: Permission, Potency and Protection (Crossman, 1966). Permission involves the therapist giving clients space to: feel their feelings, speak their truths, and be themselves: ‘What do you want to have happen?’ or ‘What feels right to you?’ or ‘You have the power to think your way out of this and change but its your choice’. Potency – Potency refers to our (benign) power as therapists. Our interventions enable clients to feel that we know what we are doing, and why. Potency is also about becoming more powerful than the client’s inhibiting, damaging introjects (i.e. internalised messages that come from family or society). For example, a client may feel that they are unable to speak openly because if they honestly express their anger they will be rejected or abandoned. Our role is to show we will not reject them, that we will give all necessary support against being abandoned. And for that to carry conviction, we must be perceived as having the power to grant that protection. Protection involves creating a confidential and boundaried space which keeps the client safe from harm. If the client needs to do some cathartic anger work, for example, we would ensure the room is set up so that neither therapist nor client can get hurt. If the client is afraid of revealing a shameful secret and being negatively judged, we need to communicate our non-judgmental acceptance and perhaps model some compassion. The term ‘therapy’ comes originally from the Greek therapeia meaning ‘attendance’: To listen means to attend closely to what is being revealed. The skill here involves staying with the client rather than jumping in readily with knowing advice or problem-solving. Clients need to know that we’re hearing them; that we’re there for them. The experience of being listened to in a very concentrated and focussed way, of being heard, seen, and witnessed – perhaps for the very first time – can be transformative. If clients can take our attending in, they may begin to feel they have something interesting/important to say; that they are of worth and value. The process of tuning into, and making sense of, an individual’s world starts with asking them to tell their ‘story’. In turn we try to be as present as possible, both to the client and to what is happening within the therapeutic relationship. We engage in a kind of dual-track listening which attends to both clients’ current and past experience and to what is occurring in the here-and-now relationship. In the process of trying to make sense of the client’s needs/story, we might focus on exploring what purpose or function the person’s feelings/behaviour serves. For instance, if clients are full of shame and negative self-talk, does this have a self-stabilising function(?) – i.e. these are the messages they’ve always heard and so it is how they see themselves; its a familiar (and so safe-ish) mode of being. Does excessive alcohol consumption have a self-soothing, reparative function? Or, might a client’s neck tensions be a ‘retroflection’ (a holding in) of the need to protest with its function being that of self-stabilising an overwhelming fear (Erskine, 2014)? Having the opportunity to explore thoughts, feelings, fantasies, fears and desires, and the space to make sense of subjective experience with an attuned other, can bring about awareness which eventually may lead to change or to different choices being made. Gaining the awareness first is key – and often that may be sufficient as the client can then decide how to proceed for themselves. The actual process that is engaged to bring about ‘change’ depends partly on the theoretical perspective. 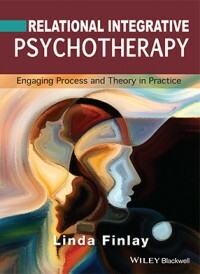 Psychoanalytic (or psychoanalytically orientated) therapists would primarily look for insight into unconscious processes and focus on intrapersonal conflicts; gestalt therapists would seek increased awareness towards self-integration; systemic and cognitive-behavioural therapists would focus on maladaptive cognitions and behavioural change. See the resource handout above re: the ‘cycle of change’. A good question to ask the client might be: “What needs to happen in order for you to be ready to change?” Clearly if a client doesn’t actually want to change you’re not going to get far. In relational integrative terms, the therapist engages clients’ processes. For instance, it is not sufficient to just note a client’s so-called ‘resistance’; therapist and client together work to identify the intersubjective danger – which includes what the therapist may being doing or represent – that makes/made the resistance necessary. Personally speaking, I don’t see resistance as a negative process; rather its a signal that the client is not yet feeling safe enough and this needs respecting/honouring. It is only when the analyst shows that he or she knows the patient’s fear and anguish and thereby becomes established to some degree as a calming, containing, idealisized other, that the patient begins to feel safe enough to… allow his or her subjective life to emerge more freely. (Atwood & Stolorow, 2014, p.50). Perhaps the biggest lesson learned by those training to be relational therapists is to move beyond looking at how to help the client feel better to asking the key question: ‘what kind of relationship does my client need?‘ (Markin, 2014). The therapeutic alliance itself offers a blank canvas for potential relational themes, including those relating to positive/negative feelings, acceptance/rejection, safety/risk, attachment/separation, confluence/conflicts, similarities/difference in social identities, and asymmetry of power. Our work is to be flexibly attuned to what each individual might be needing relationally. If a client has been overwhelmed by an aggressive, demanding partner or a smothering parent, they might well benefit from a therapist who is quietly non-intrusive. A client who has been sexually or physically abused is likely to need a therapist who does not invade and who uses touch and/or anger cautiously. A client whose significant others have been more non-responsive or passive might need a therapist who offers a more lively, actively present way of being. There are no ‘recipes’; it’s about relying on our sensitive empathic attunement together with intuitions/awareness of our counter-transferential responses. Then we can be “co-opted and prompted to incarnate themes and roles from the client’s drama” (Paul & Pelham, 2000, p.118), perhaps by working with transferences and projective identifications. But here, it is important that we do not simply replay and repeat the client’s life drama. Instead, therapy needs to offer a space and opportunity to experience a new way of being and different outcomes. Therapy offers a space for exploratory challenge, creativity and acceptance and it is in this space that healing can emerge. The process of being a client is challenging. It can feel excruciating to be brought face-to-face with one’s own pain. As therapists, we have a critical role to play to gently nudge clients to go beyond safe (habitual) ways of being. To this end, we try to listen attentively, tune into the needs, emotions, and complex inner world of every client. We also have a key role in being alert to client’s readiness to change and/or commit to therapy and by removing obstacles to engaging in therapy (Yalom, 2001). None of this can occur, however, without the foundation of an effective therapeutic alliance. Only then will the client begin to use the opportunity to drop their defences. If a client is going to ‘let go’, they need to know they will be respected and kept safe. The therapist’s skill comes in recognising what that it means for the client to ‘be safe’: Is it not shaming, or not dismissing, or not ignoring, or not abandoning? Or is it an actively positive, loving, admiring, reflective and/or kindly presence needed? Or perhaps offering straight, honest and respectful challenge? When we establish an alliance, we offer a space which is a safe, responsive and trustworthy refuge. Clarkson’s often cited chapter on ‘The working alliance’ (see: Clarkson, P. (2003). 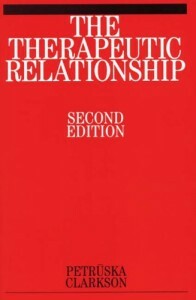 The Therapeutic Relationship, 2ndEdition. London: Whurr Publishers) contains much rich material including about failures and opportunities for breakthrough in the alliance. I particularly recommend Moursund, J.P. and Erskine, R.G. (2004). Integrative Psychotherapy: the Art and Science of Relationship. Victoria, Australia: Thomson/Brooks Cole, for their insights into engaging the therapeutic relationship.